This spring, we have a number of exciting topics programmed for our Young Archaeologists’ Club, exploring both the wealth of archaeology here at Fulham Palace and in the surrounding area! Young Archaeologists’ Clubs (YACs) exist up and down the country providing 8 to 16 year olds with a chance to discover the past through investigating artefacts and exploring the world around them. 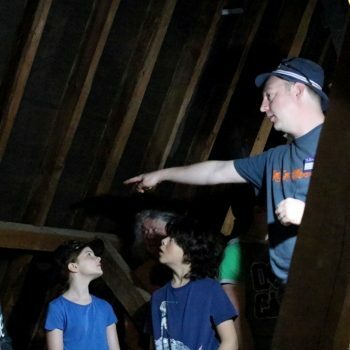 This is West London’s first YAC, providing an opportunity for children to have fun finding out about their local history and archaeology, to meet real archaeologists and craftspeople, develop new skills and make new friends in the process. Suitable for 8 to 16 year olds, young people attend independently. £45.50 per Autumn term (September to November). Booking essential - click here to book This takes place in the Jessie Mylne Education Centre. This spring, we have a number of exciting topics.